Community size effects indicate elite athletes are more likely to originate from regions of medium-to-large population sizes, and less likely to originate from exceedingly small or large cities (Côté et al., 2006; Baker et al., 2009). However, recent literature has revealed variation in this effect both within population size categories (Farah et al., 2017) and between provincial regions of Canada (Wattie et al., 2018). This research explored the consistency of this effect in Canadian Olympians (N = 568) and Paralympians (N = 199) who debuted between 2010 and 2016. Athletes' places of birth were grouped by population size categories: < 2,500; 2,500 – 4,999; 5,000 – 9,999; 10,000 – 29,999; 30,000 – 99,999; 100,000 – 249,999; 250,000 – 499,999; 500,000 – 999999; ? 1,000,000 and the percentage of athletes originating from each population size category were calculated and compared across Canadian provinces. Results showed considerable inter-provincial heterogeneity in athlete development. For instance, the percentage of Olympians in each population size category ranged considerably depending on provincial region: (1.2 - 16.1%), (0 – 3.6%), (2 – 12.5%), (3.6 – 14.4%), (1.8 – 38.5%), (0 – 32.1%), (0 – 50%), (0 – 71.4%), and (0 – 32.4%), respectively. Similarly, the percentage of Paralympians ranged from (0 – 7.1%), (0 – 12.5%), (0 – 7.3%), (0 – 24.4%), (8.2 – 50%), (0 – 57.1%), (0 – 12.5%), (0 – 72.7%), and (0 – 19.5%), respectively. 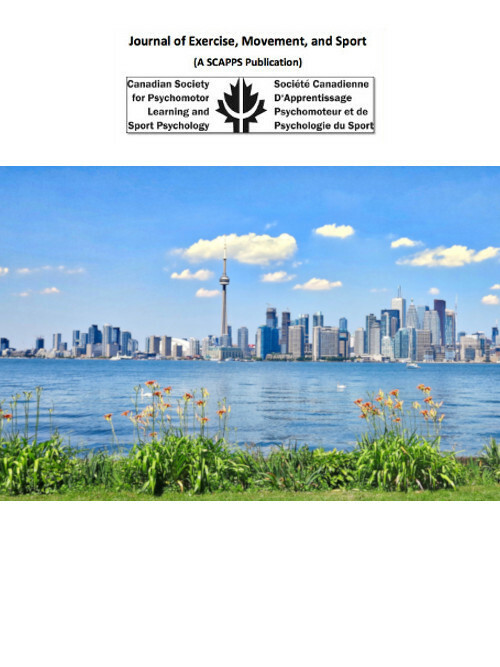 These findings suggest athlete development environments are not equal in similarly sized cities across provincial regions of Canada. Consequently, future research may benefit from exploring specific environmental contexts that are conducive for athlete development that extend beyond population size.